Krueger’s Special Beer (July/2017) - After decades of rumors, one “sighting,” and now in a top beer can collection at last. —-Well documented has been the public introduction of Krueger’s Beer in cans by the Krueger Brewing Company during January 1935 in Richmond Virginia. 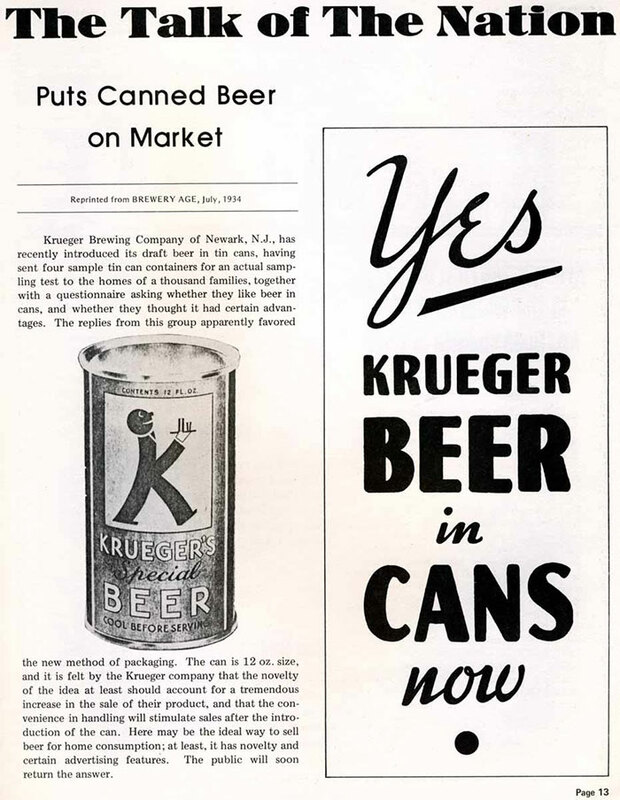 —-Lesser known has been an article in the July, 1934 issue of Brewery Age announcing that Krueger Brewing Company had introduced its draft beer in “tin cans” under the name Krueger’s Special Beer - a brand name Krueger Brewing had used before on bottles. The article said this was a “sampling test to the homes of a thousand families” - the test was successful but unlikely the Brewery’s management could have known the magnitude of how successful canned beer would become. As the hobby of collecting beer cans grew in the 1960s, in time the 1934 article became more generally known, which started the hunt for a can that was only pictured in an article. Beer can collecting had found its “Holy Grail," its Arc of the Covenant, or less legendary and more practically familiar - the hobby’s “Dutch Schultz stash” or the “Wright Brother’s patent papers” (those were lost for 36 years). An actual Krueger’s Special Beer can was never found for decades, and only known by the photo of the can in the 1934 article along with unsubstantiated rumors. —-However, in 1985 when the 50th Anniversary of beer in cans became news, the Beer Can Collectors of America office was contacted by a holder of a Krueger’s Special Beer can with a photo, and a few members later examined the actual can. 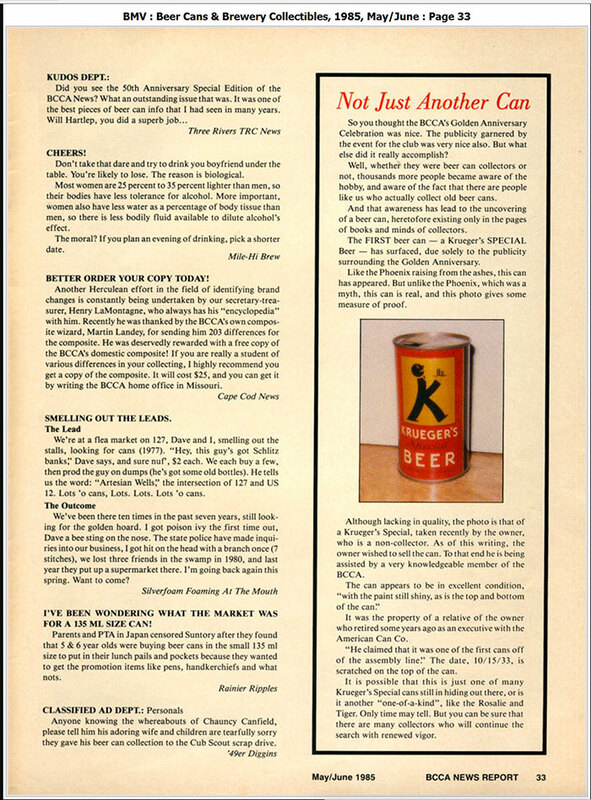 Then the BCCA magazine had a story on the “find," including a photo of the can. 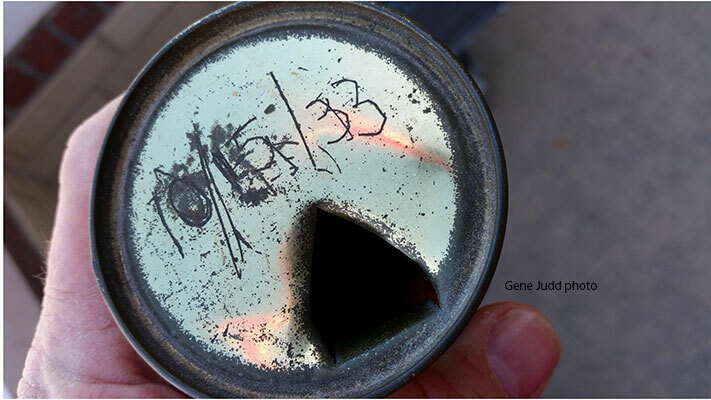 However in the decades after this brief “sighting," little information was generally known about the can and what happened to it by most collectors. As the years passed, they mostly stopped calling and then lost contact. A number of years later, the “active collector” looked for the man’s name/address, but couldn’t find it. He contacted Jane Stark around the time their collection was sold, but they couldn’t find the info. either. The last verified “lead” on the can was lost. —-As fortune gave, the Krueger’s Special Beer can wasn’t to be “lost” after 1985, as long as the Wright Brother’s patent papers, but close. In January, 2017 as described by a Texas man - he saw the can in a booth at an antique mall north of Fort Worth with a price tag of $14.50. He had been dealing in a range of collectibles for 40 years, mostly advertising memorabilia, signs, posters, tins, trays, but wasn’t familiar with the details of all the different beer cans. He started researching the brand name, helped by information from the Rusty Bunch site, and discovered the can was very rare. For a couple of months, he continued going back to the antique mall to see if any others appeared, but none did. In the process of visiting, he learned that the Krueger’s Special Beer can had been in “a box of items bought for $5.00” at an estate auction in the Fort Worth area, but details on whose estate sale, etc weren’t recalled. 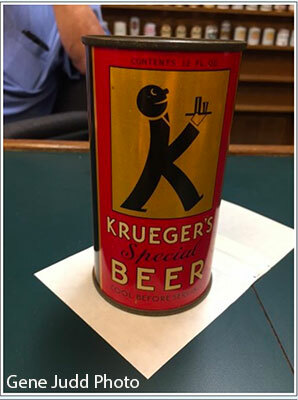 A well-known collector Charlie Smith became familiar with this “find” and was contacted by Gene Judd who, in time, met the holder of the Krueger’s Special Beer can who helpfully conveyed the can’s recent background, since he had found it at the antique mall. They reviewed the range of collectibles around today; their prices combined with the variations in numbers of collectors and demand. After a review of these and other factors, a transfer was completed and the can is now part of a collection at the head of a line with many later Krueger Brewery cans. 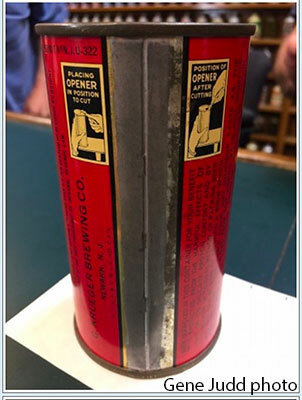 The Krueger’s Special Beer can, after being mostly hidden for around 84 years but fortunately well preserved during that time, now sits where the “Holy Grail” of beer can collecting can be appreciated by collectors. Copyright © 2010-2019 www.beercanhistory.com, All Rights Reserved. Last modified April 7, 2019.